We are fast approaching the winter holidays and that means Salvation Army buckets will be making appearances outside stores across the U.S. But it’s not just the Salvation Army that ramps up its fundraising during the happiest season of all. A 2011 report from The Chronicle of Philanthropy found that nearly 70% of Americans believe it is important to give to charities during the holidays. For many of us, donating to the less fortunate is just as much a part of the season’s celebration as tinsel and carols. However, don’t let your warm and fuzzy feelings lead you to make bad decisions when it comes to donating to charities. Of course, before you can donate to a charity, you need to find one. Start by considering what fires you up. What would you change about the world? Which injustice would you right if given the chance? From curing childhood cancer to saving the oceans, there are charities for virtually every cause. Once you settle on your general area of focus, decide whether you want to donate locally, nationally or internationally. If you are concerned about hunger, you could donate to the local food bank or perhaps you’ll feel called to help those in developing countries. It’s your call. After you know your cause, it’s time to find a charity worth your money. You could do a Google search, but you are better off going to a dedicated site like Charity Navigator or GuideStar. According to Giving USA Foundation, Americans donated more than $316 billion to charitable causes in 2012. With so much money at stake, charity scams can be big business for rip-off artists who prey on others’ good intentions. Some so-called charities aren’t even registered tax-exempt organizations and are simply a front to siphon money into the owner’s pocket. Avoid being duped by charity scams by double-checking any charity’s credentials through Charity Navigator, GuideStar or Give.org, which is run by the Better Business Bureau. Next, even if your charity is legitimate, that doesn’t mean your money will be used wisely. Before you donate to Kids Wish Network — dubbed America’s worst charity by one report — you probably should know it spends less than 3% of its money on actually granting kids’ wishes. 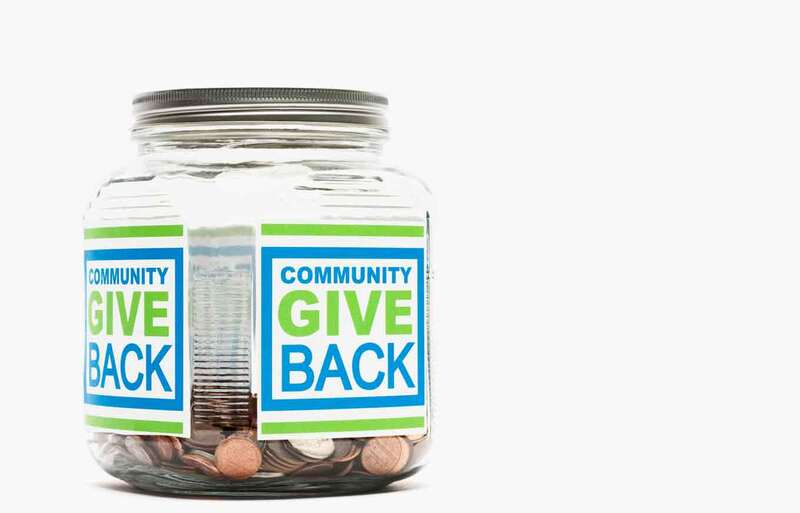 According to the BBB Wise Giving Alliance standards, a charitable organization should spend at least 65% of its money on program expenses — that is, activities directly related to its cause. While 65% may be the bare minimum, you can find many charities that go above and beyond. For example, consider Feeding America, which spends a whopping 97.9% of its budget on program expenses. Once you’ve made a couple of donations, your mailbox is likely to begin filling with solicitations. It may be tempting to spread the wealth and give a little here and a little there, but your money will go further if you concentrate your donations on one charity, advises Charity Navigator on its website. Never make a donation to a telephone solicitor. First, they may not even be legitimate. Telephone charity scams use names similar to well-known organizations or they may say they are raising money for causes that tug at the heart strings such as supporting military families, veterans or police officers. In reality, your money will be used to profit the person calling and do nothing more. Second, even if it is a legitimate charity, by donating over the phone, there is a very good chance only a small portion of your money will actually make it to the organization in question. A report from Michigan Attorney General Bill Schuette found that, on average, only 35% of the gross proceeds raised by third-party fundraisers in that state actually went to charities. Finally, don’t forget that your favorite charity can likely use more than just your money. Soup kitchens need hands to serve food; environmental groups need feet to survey land. If you have a particular skill such as Web design or marketing, you may be able to donate those services too. Volunteering is a win-win. It means less money a charity must spend on hired help, and it gives you a chance to walk the walk and actually make a difference. And that is a warm, fuzzy feeling no check can match. Black Friday is Coming: Why Not Get Paid to Shop? Donating is a fast and simple way to help those in need, but we have to make sure we are giving to a cause that truly deserves it. Making a difference can be as easy as finding anything we don’t use and giving it away to those who can truly take advantage of all the benefits that item may hold. I donated an old car to and it was great knowing I gave it to a charity that takes the car and actually gives it to someone who can really use it to change their lives and allow them to enable so many new possibilities that were limited due to a simple lack of transportation. They accept running and non-running vehicles to provide transportation and even financial aid. I know that they are non-profit and really use everything they get to help people. In such tough times, I think we can all do a little something to help, especially for a cause that makes such a great difference for everyday people limited by what is a necessity.